Do you want to know how to select the best domestic air conditioning unit for you? Then look no further. 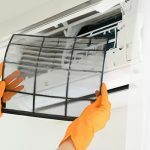 As domestic air conditioning experts, we are here to walk you through the different factors that you should consider before selecting the air con unit make and model for your home. To determine the size of the domestic air conditioning unit you require, we can use a bit of math. Multiply the width and the length of the space you are hoping to cool, then multiply by 25 BTC, this will give you the cooling capacity you need for your space. BTU is the unit used as a measure of power in heating and air conditioning industries. You can then select the corresponding unit with the right BTU capacity. Your new domestic air conditioning unit (if it is a split system) will have two separate units: one inside and one outside. The outdoor unit works the best when it is hidden from the sun and located in a shady place. There should be no plants near this outdoor unit and it should be kept away from high traffic areas. The indoor unit’s location will depend on the type of domestic air conditioning unit you select. This is a great question to ask your installer as some units will be on the wall, window or in the ceiling. There are many different domestic air conditioning systems and selecting the best system for you and your needs are important. There are three different types of systems: split system air conditioners, multi-split air conditioners, and ducted air conditioners. Below, we explain a bit more about each system. 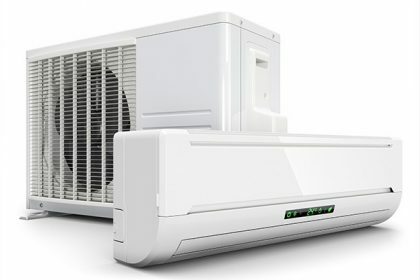 Split System Air Conditioners. When you are looking to cool only one room in your home, a split system domestic air conditioning system is the best for you. 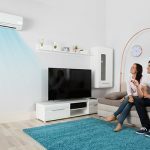 With one unit indoors and one unit outdoors, the direct, fresh, cool air will enter your room and reduce the temperature. Ducted Air Conditioners. This system works best when you have a central heating duct system. You can use the existing ductwork for your domestic air conditioning unit and your new cool air throughout your entire house. Multi Split Air Conditioners. If you have multiple rooms to cool, but do not have existing ductwork, a multi-split domestic air conditioning system will allow you to cool multiple rooms. Different manufacturers and different companies will provide a variety of different warranties on their units. Depending on you and your family’s needs, find the best warranty for your lifestyle. 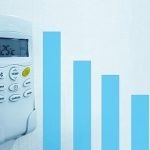 Extended warranty with your installation company can also help to ensure that your unit remains working at a reduced cost to you. 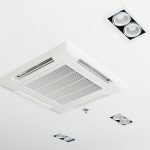 As all homes are different and come with their own quirks, seeking a professional’s advice on the type of domestic air conditioning unit you should select is always recommended. Make sure to find a trustworthy, reliable air conditioning company so that you can trust their recommendation.